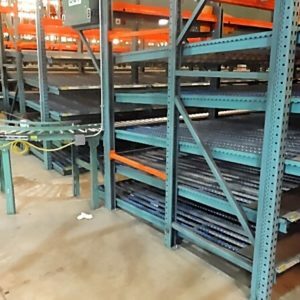 THOUSANDS of Used Pallet Rack Uprights in Stock! INDUSTRIES LARGEST INVENTORY UNDER ROOF! Roll Formed Uprights like the roll formed beams are built from “Cold Rolled” sheets of steel that are bend to the desired shape. They have specific holes punched in their face to allow for the beam connection. These holes come in a variety of styles. The most prevalent hole design on the market today is called a “Tear Drop” design. This design basically resembles and upside down tear drop. Structural Uprights like the structural beams are built from structural components. They have round holes punched in their face that enable the round hole beam connectors to attach to the upright with the nut and bolt system. Structural uprights generally provide a higher capacity than the roll formed uprights. Below are just a few products in our inventory – Call us today for a complete inventory list or fill out a Fast Quote and tell us what you are looking for. We’ll get back to you in 1 business day! 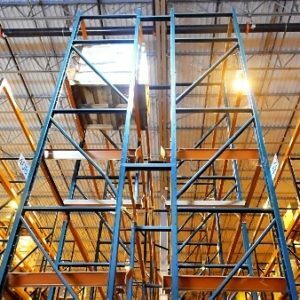 At Used-pallet racks.com, we are committed to providing only quality used racking parts. That commitment to quality extends to our pallet rack uprights. Uprights are an essential piece to the racking system as they form the vertical base for the beams to connect to. Uprights come in a variety of types and sizes to suit the needs of your warehouse. Many of our uprights can also be mixed and matched with various beam and wire mesh deck types to fulfill your exact specifications. Whether you decide to go with Rolled Form Uprights or Structural Uprights, you can be sure that you’re getting a product that is sturdy, affordable and simple to use. 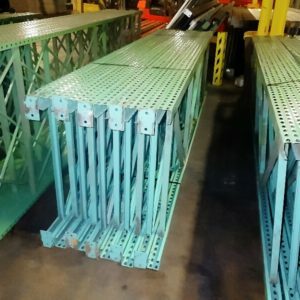 At Used-PalletRack.com, we have one of the largest inventories of used Rolled Form and Structural Uprights in the nation. We have experience working with warehouses of all shapes and sizes. Chances are, we have what your warehouse needs already in stock and ready to ship. 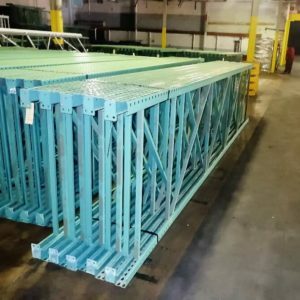 Our customer service team is unmatched in their experience in the racking industry and enthusiasm for helping customers. If you have any questions, please call or fill out a fast quote today. We are looking forward to hearing from you regarding your warehouse’s storage needs.